Find & hire the best venue in Battery Point with Function Rooms. Find & hire the best venue in Battery Point with Function Rooms. At Function Rooms we have made it simple to hire the perfect place with our collection of amazing Battery Point function venues. What makes a great function, wedding, special event or party? It all starts with choosing the perfect venue, space or room, it’s unique design, aspect & location married with it’s food and beverage offer all needs to be considered. Organising a Christmas Party, Engagement Party, Cocktail Function, Christening, Lunch, Private Dining Room or Wedding Reception Venue in Battery Point? Find a fully Catered Venue, Hall or Function Room to Hire for your next milestone birthday party, 18th, 21st, 30th, 40th or 50th. It’s absolutely free to use our venue finding service! Search our Battery Point directory for Bars, Cafes, Restaurants, Hotels, Conference Centres, Pubs or Nightclubs. 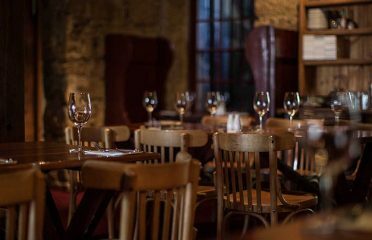 The private dining rooms at Ball & Chain Grill can accommodate 6 – 65 seated guests or up to 80 for standing events and is an easy walk from Hobart’s historic Salamanca Place. Share your amazing Celebration experiences with others & become a FunctionRooms member.